Add Alessi to your favourites! 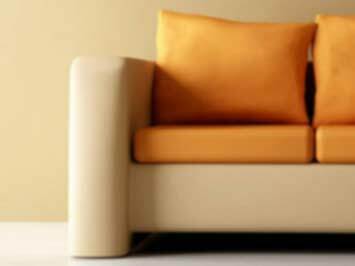 Fella Design is a trailblazer in Malaysia's furniture industry and the leading manufacturer and exporter of fine fabric upholstered sofas, bed sets, wooden armchairs, chaise lounges, home furnishings and home decor accessories. Fella Design provides quality designer furniture for home or commercial use. Fella Design's categories of products and services include Classic English Style, Modern Style, Modern Contemporary Style, American Style and Interior Designing Consultancy & Services. Fella Design also features other brands such as American Accents, Morph, Urban Culture and Fella Interior. Fella Design was founded in 1986 and its subsidiary Fella Interior was set up in 1993 with headquarters in Damansara Utama in Petaling Jaya. There are currently 14 Fella Design outlets throughout Malaysia. At any one time, there will be more than 1000-coordinated fabric designs and 100 over models of sofa sets to choose from at Fella Design showrooms. 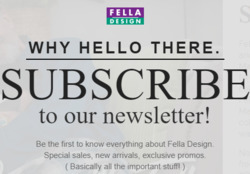 Do you want to receive more offers from Fella Design by email?